Another boardgame which deals with issues difficult for students - Past Perfect and Past Perfect Continuous. 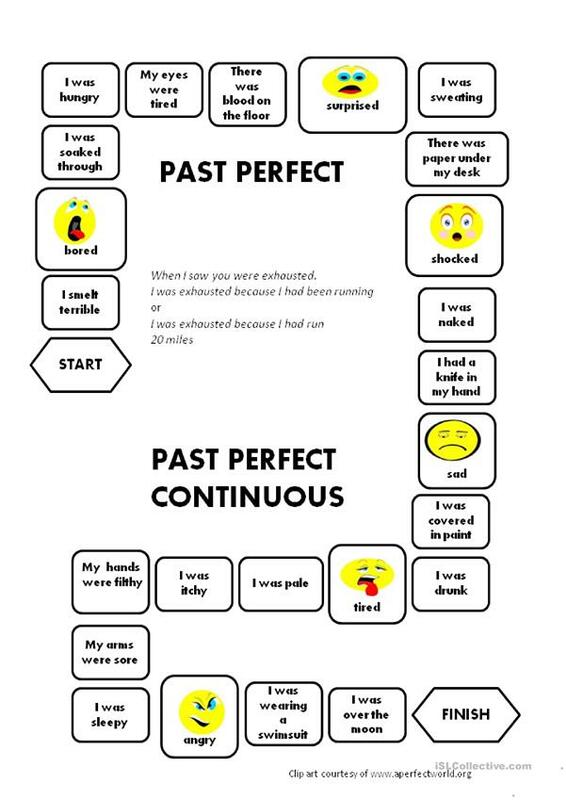 StudentsÂ´ tasks is to make as many sentences as possible using either Past Perfect or Past Perfect Continuous. They get 1 point for each correct sentence. The winner is the person who has the biggest number of points. The above downloadable handout is intended for high school students at Intermediate (B1) level. 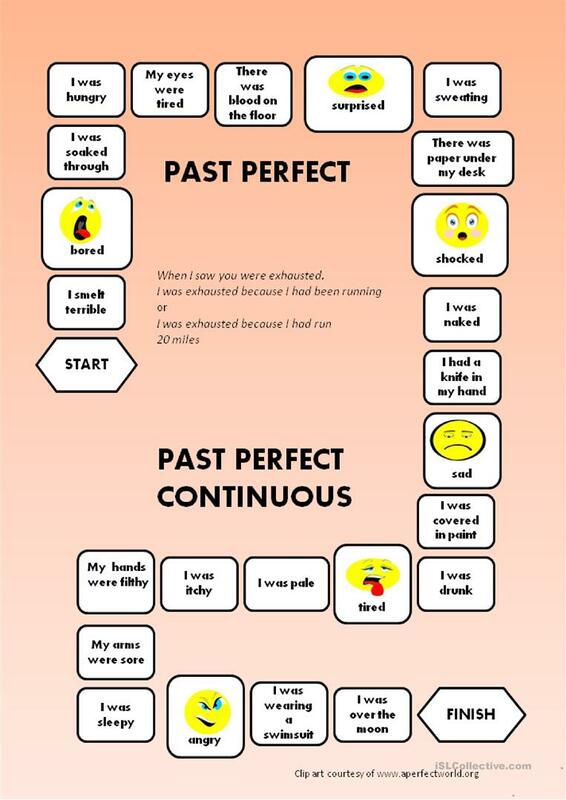 It is great for revising Verb tenses in English, and is excellent for working on your groups' Speaking skills. dobrawaa is from/lives in Poland and has been a member of iSLCollective since 2009-12-10 06:11:14. dobrawaa last logged in on 2019-04-21 16:54:44, and has shared 65 resources on iSLCollective so far.